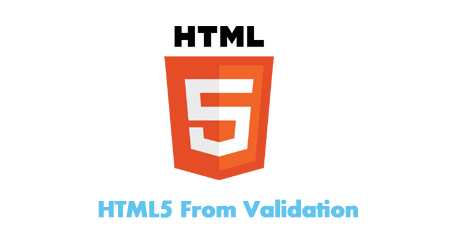 This post is about the HTML form validation and also a few types of input fields available in HTML5. There are a few additional types of input fields added in HTML5 for better performance and results. To check whether the field is empty, just add an attribute reuired="required" to the input field. You can also write the attribute without any value. For quick email validation entered by the user, just use the input field with type email instead of the type text. For url validation uses the input field with type url instead of the type text. For this you need to use an input field with type tel, limit the character entered in 10 and check the pattern entered. For the detailed explanation of the mobile validation or pattern validation, click here. This attribute is used for focusing the input fields on page loading by default. Data picker this input type pick the date and time this value automatically pick the date. This new input type search field similar to google and yahoo search engine based automatic search close icons including this search box.